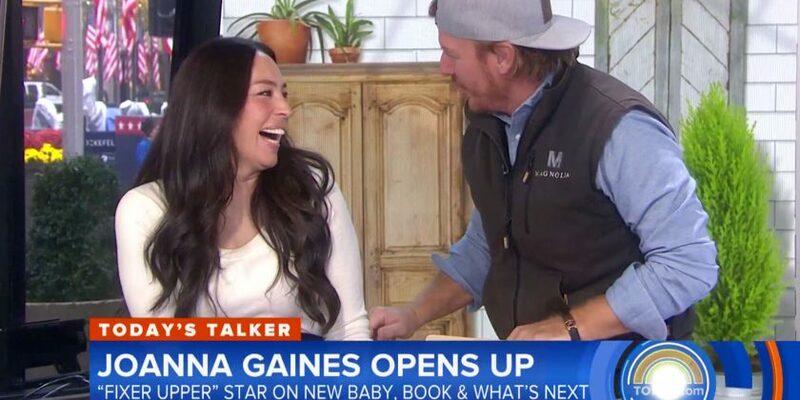 Joanna Gaines had an unexpected visitor on camera during her segment on the Today show Tuesday. The HGTV star appeared on the show to promote her new design book, Homebody: A Guide to Creating Spaces You Never Want to Leave, which came out on Tuesday, and while she was taking Savannah Guthrie and Hoda Kotb on a visual tour of her Texas farm house, her husband Chip drags a chair across the stage to sit next to his wife. “Wait, look who is joining,” Kotb says with a look of surprise. Earlier in the morning, Chip proved to be Joanna’s biggest cheerleader, getting out on the street outside the show and jumping up and down and waving through the window behind her. “When your biggest fan follows you from Waco, TX,” Joanna captioned a video of Chip on Instagram. 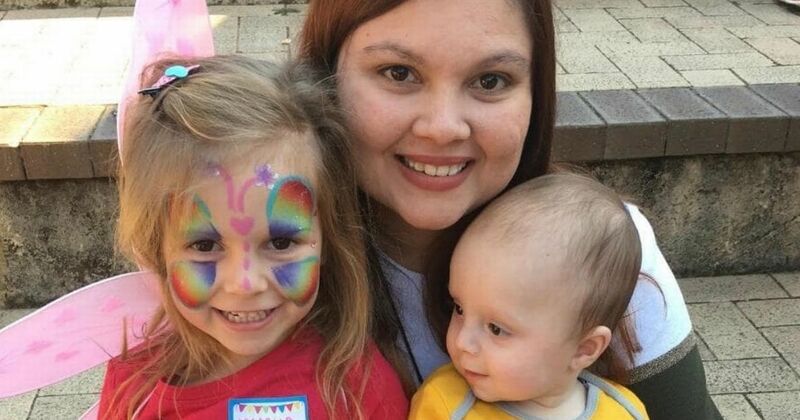 When Kotb and Guthrie asked Joanna if she and her husband just “laugh all the time,” Joanna had the sweetest response. Of course, while the talk of the day was Joanna’s design book and their now four-month-old baby Crew (who made an adorable appearance on-screen! ), the Fixer Upper stars also used their appearance to urge people to vote in the midterm elections on Tuesday Nov. 6. Chip posted a video of himself playing with the camera equipment on set to film Joanna while standing in front of a screen that read, “The Vote: America’s Future.” “#GoVote,” he captioned the video. Homebody: A Guide to Creating Spaces You Never Want to Leave is out now.